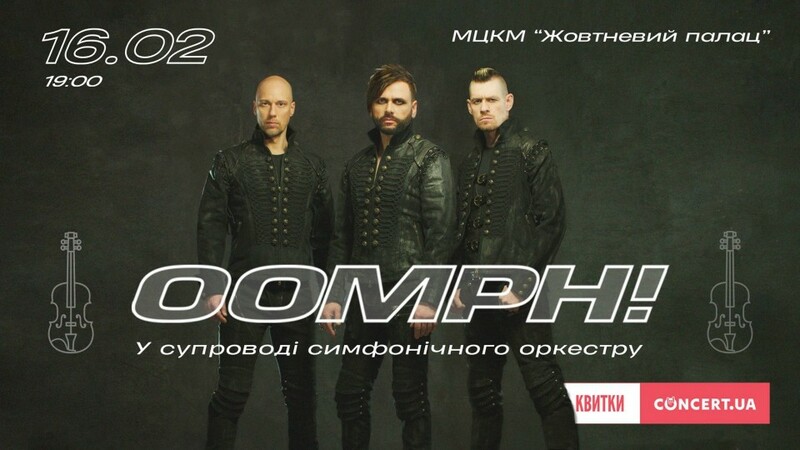 On February 16, 2019, the October Palace in Kyiv, Ukraine, will host a concert of the German act Oomph! accompanied by a symphony orchestra. "Oomph! is one of a few bands in the world that has not changed its lineup in its 30-year history. After a short last year’s break, the German industrial legend returns with a new album in January 2019 and immediately goes on tour. In Kyiv, the band will present a special program — into the mix of metal, industrial and EBM, which made them famous, Oomph! will add classical arrangements."